I've been using Expensify for some time now to handle the expense reports and it has saved me countless hours of mind-numbing, ungratifying work. 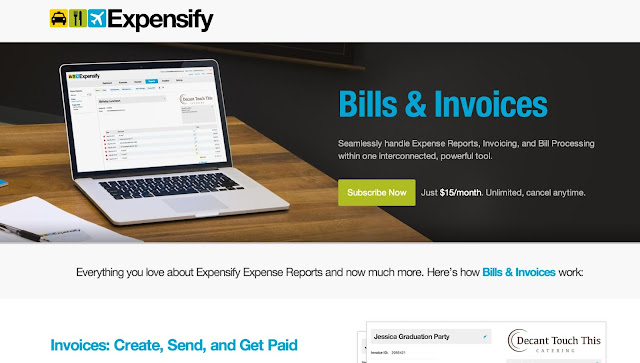 Now Expensify is expending their portfolio sideways by adding the bill management and invoicing to the mix. It's nicely integrated with the workflow (get the bill -> add it to expense report -> add expense report to the invoice) and should eliminate even more administrative distractions out of your day. 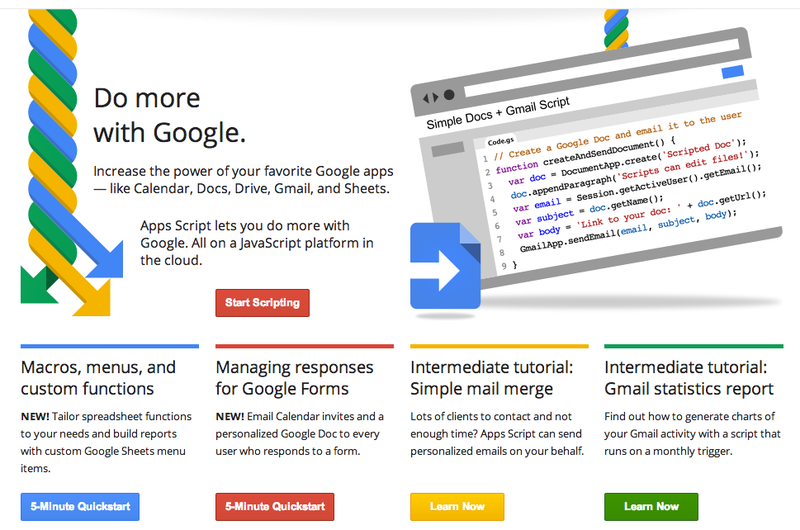 Not many people know about about Google Apps Action Scripting, yet it's one of the things in Google's arsenal that increases the value of the product exponentially. Much like Microsoft's Office Macros that allowed some seriously useful new functionality to be written on top of data gathered in spreadsheets or word documents, Google Apps Action Scripting allows taking the data and documents to the next level. 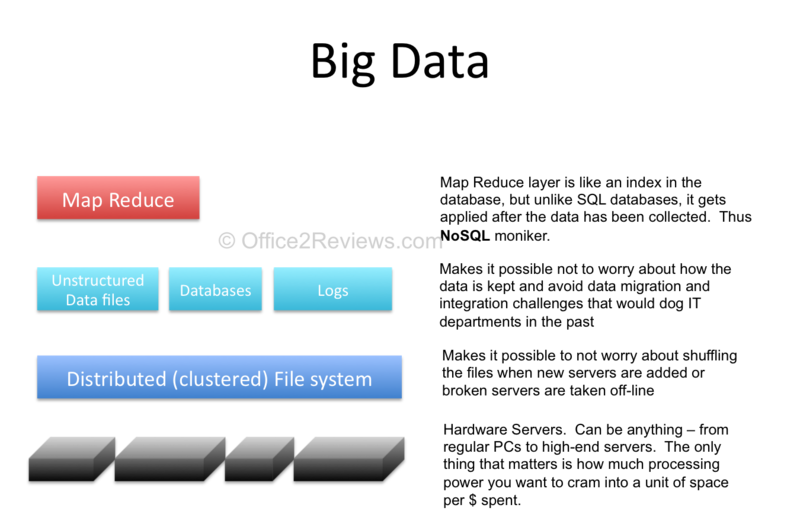 Unlike Microsoft, Google Apps Scripts can run across multiple products making sense and shifting data between the apps. This script for example will copy all the Gmail image attachments into the Google Drive, making the images searchable with OCR and providing for a much easier access. It will be exciting to see how it evolves, but my money is on Google Apps at this point as the ROI between the collaboration, scripting, and revision management is getting to be very high! 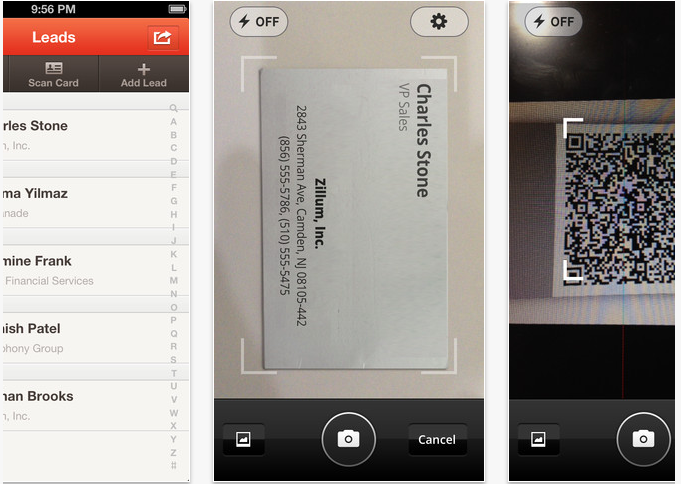 iPhone only for the launch, but a great addition to Zoho CRM and a breath of fresh air for all of us who have had to grapple with the decision of how many (if any) $400/piece badge scanners to get for the tradeshow.. Zoho's answer - NONE! Since many of you readers of this blog are small businesses, which many times means RETAIL, I thought I would highlight this tool that I recently came across that makes a lot of sense. I'm sure we've all been in situations where we left an establishment dissatisfied or irked thinking "if only the owner knew this, they would have been been able to fix this little problem of an otherwise perfectly fine joint". Well, here's a great attempt to solve this problem..
You know, we've come to think of CRMs as this monster database with lots of rows and fields, forgetting sometimes of what's in the name - it's about customer relationship management, and this little app is exactly about that - managing the relationships before they go sour. 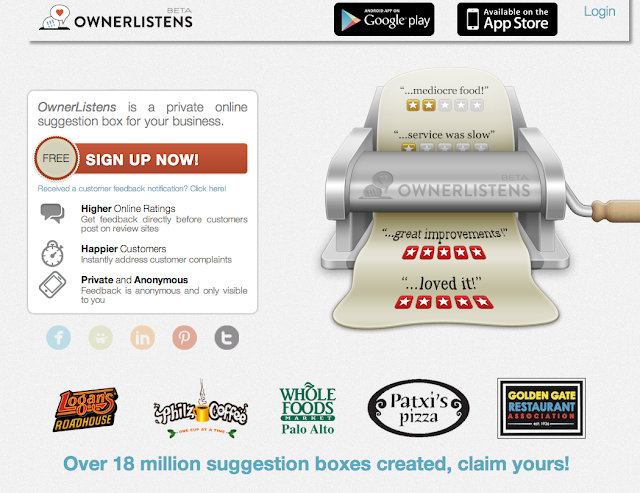 Ownerlistens strikes a delicate balance between anonymity and conversation - the patron's identity is hidden, but the owner can still communicate directly and make the customer happy..